Reports making the rounds on the internet over the last 48 hours have revealed that the Dread & Alive series and it’s creator Nicholas Da Silva have made the Hott 100 list for “Web Designer Magazine”. A hearty congratulations for the groundbreaking independent black superhero title which was nominated by our fans for Best series of 2010 and who’s titular character won our Best new black Character award. Dread & Alive has charted new territories with it’s Reggea albums released almost simultaneously with each comic book issue! Read all about it in the most revealing interview of Nicholas Da Silva’s illustrious career. 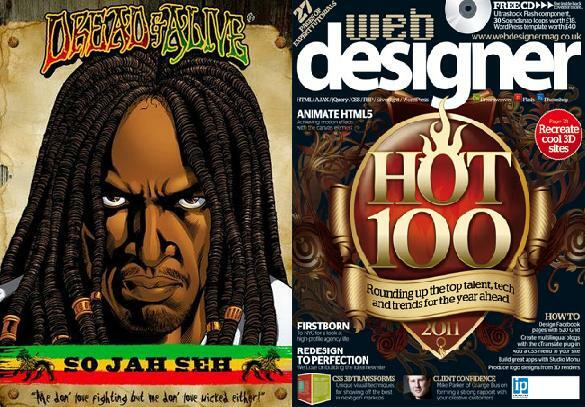 Web Designer and Dread & Alive= HOTT 100! !